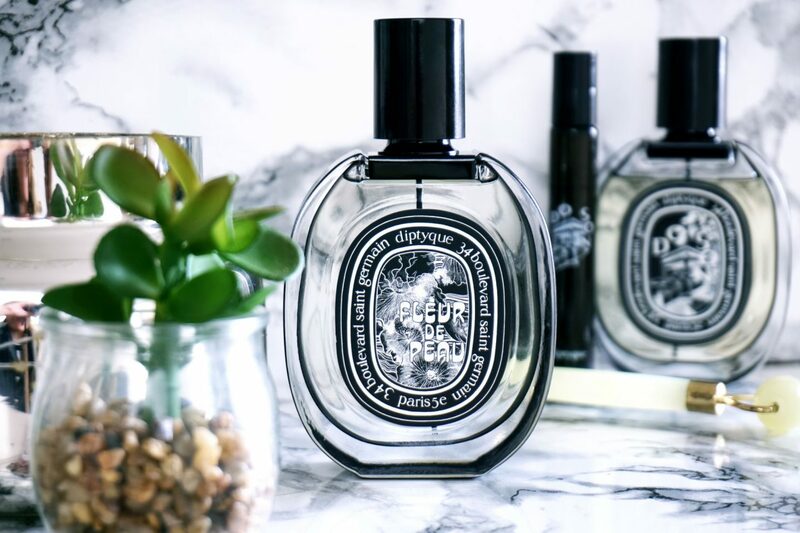 Diptyque is celebrating the 50th anniversary of their first personal fragrance L’eau. Launching two new fragrances in ode to their origins in the 60’s, Fleur de Peau and Tempo. I have a long-standing love affair with Diptyque, I even chose Do Son as my wedding fragrance (read about it here). When the chance to be one of the first to try the new EDP arose, I jumped at it. Fleur de Peau centres around the symbolic raw material of the 60’s – musk. 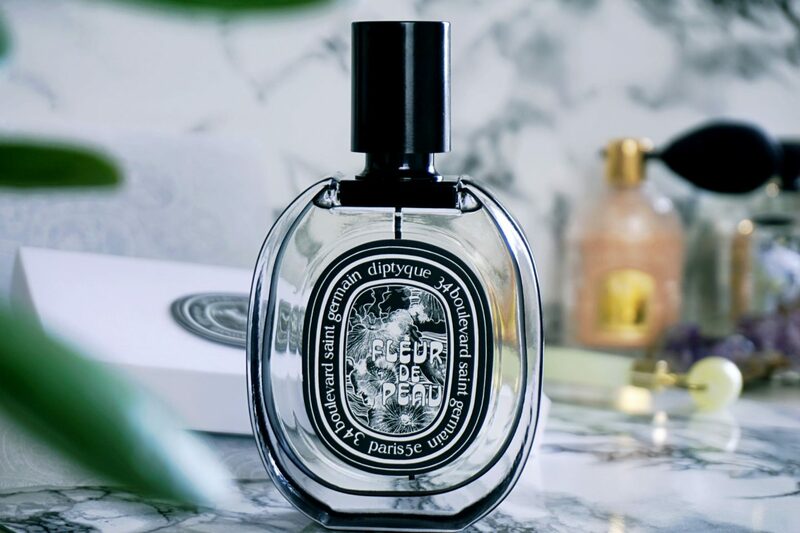 How have Diptyque made an ode to the old-fashioned musk modern? They have highlighted the scent with the elegantly powdery iris and fruity, ambery ambrette seeds. Fleur de Peau is a soft, feminine floral fragrance. Perfect if you are looking for something understated that won’t overpower a room. Or if you are looking for something light for your wedding. It is a light and fresh interpretation of the original classic musk scents. A modern twist on that nostalgic scent that may make you reminisce of your mum, or even your nana. If you like Chanel No. 5 L’Eau, I think you will love this parfum. Diptyque EDPs always last such a long time on my skin,I do not need to re-spray throughout the day. 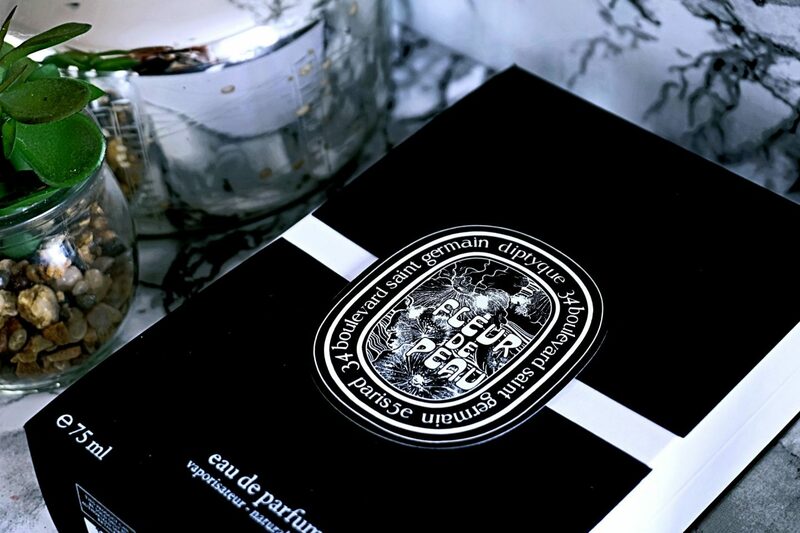 As with all Diptyque products, the packaging and bottle design is stunning. The bottle makes a welcome addition to my dressing table. The second of the new launches is Tempo, which I haven’t tried for myself – although, this sounds more like my kind of fragrance. Tempo is all about Patchouli, another iconic raw material of the 60’s. Hippies saw it as the perfume of rebellion and freedom, emblematic of the flower power movement. The woody aroma combines three different extractions of patchouli. Additional notes include bergamot, violet leaf, clary sage, mate, and pink pepper. I can’t wait to try this one in store…I’ll update you with how I get on! Both fragrances are available exclusively at SpaceNK now. £155 for 75ml.